Black seed oil use is found across the world. 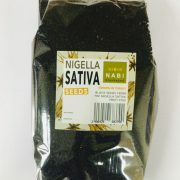 The tiny black seeds of the Nigella sativa plant have been used as a culinary spice and traditional medicinal herb for thousands of years. The use of black seed has been passed down through the generations in many different systems of medicine and adherence to the use of black seed for a range of different ailments is still found across the globe. 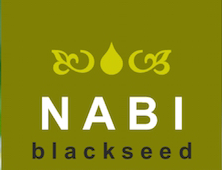 Within islam black seed holds a weighty position having been used by the Prophet Muhammad (SAW) who described it as a cure for all diseases. Since the 1960’s hundreds of peer reviewed scientific studies have been published reporting its varied effects. Our understanding of the Nigella sativa plant seed composition had grown hugely and every year more and more studies are shedding light on the different ways the components affect us. Although the studies number over 600 there is still so much we don’t know. 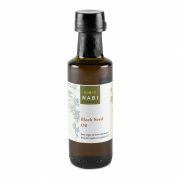 The evidence for use of black seed oil for any particular ailment is based on the scientific data we do have, traditional uses and consensus of individual experiences historically and to the present time. What conditions could black seed oil potentially be beneficial for? Since depression has recently been linked to an inflammatory response, I wonder how black seed oil would help with depression. Several lab studies looking a cellular basis of depression and animal models have found very significant benefits for both depression and anxiety. Many people report significant benefits on mood and outlook when taking black seed oil across reviews, forums etc. Is black seed oil omega6 ? No black seed oil is not omega 6. It is a unique pressed oil from the Nigella sativa seed. What is the dosage of the black seed oil to cure fibroid/tumor.. Thank you. Effects of black seed oil on fibroid tumours has not really been established. Try taking one or two 5ml servings of black seed oil each day. Many reports online suggest black seed oil helps with fibroid symptoms but no studies on this to date. Lots of online reports of black seed oil benefits for hair loss, no actual scientific studies done. hi please can blackseed oil be used for sinusis infection ? my daughter suffers from it and snores heavyly with blocked nose. Should help with this as it is anti-inflammatory and anti-microbial, also decongestant. Hi my 7yr old daughter was diagnosed with type 1 diabetes 3 months ago. please advice me on the dosage of black seed oil to give per day. Start with one 5ml serving before a meal and monitor the effects on sugar control. Aim to increase to one 5ml serving before each meal. Can you please tell me if there is a daily dosage that I should take ? i.e 1 tsp before breakfast, etc? I have type 2 diabetes and most of problems associated with this decease. You can take it before meals. Take 1 full tsp. You must take it regularly to help with both blood sugar control and the complications of diabetes. If you are taking black seed oil to control sugar, do you recommend one tbsp before every meal? Yes, one 5ml serving 20 – 30 mins before each meal seems to work best, it is also safest as it is least likely to cause hypos. Hello, Does it treat Pancreatic Cancer? How? Am talking about Pancreatic Cancer stage 4. Please help. Thank you. There is some evidence that black seed oil and its active components especially thymoquinone have positive effects against pancreatic cancer in lab based studies. Try 1 x 5ml spoon in the morning before breakfast with honey and increase if the disease becomes more active to 2 or 3 spoons per day. Our oil tastes very palatable. For neck tumor (not thyroid) what dosage or amount of black seed oil would be effective? What kind of tumour is it? Black seed oil has been demonstrated to have many anti-neoplastic (anti-cancer) properties. Different studies have examined the effects on different tumours. In terms of human dosing trials these are few and far between in the field of cancer treatment. In general we receommend a starting dose of at least 3 x 5ml spoons daily. For how mouth to tack BlackSeedOil with honey? what dosage or amount of black seed oil would be effective? I am sorry to hear you are battling with this. Many studies in the area confirm dose and time dependent responses. If the cancer is aggressive you need to take black seed as frequently as needed to see and feel a response. Do this under the supervision of your doctor and be aware of the other effects of black seed oil including sedation and hypoglycaemia. Can you please provide a dosage guide for Neuroendocrine Cancer grade 3. Also if it is best to take in oil or seed form? Unfortunately no such studies have been done to indicate any dose. We would recommend a fairly high dose of at least 3 spoons a day. The more aggressive the diseases the more the need for persistent high doses over long periods. Is it okay to take 1tsp of black seed oil per week for a normal healthy person or should I take more? You would most likely need daily dosing to get any meaningful benefit. I have chronic psoriasis, and have been recommended to take this oil. How much should i take each day? It may well be beneficial to take the black seed oil orally and topically for psoriasis. A study in a mouse model of psoriasis has found benefits. It has not been studied in humans with the disease so exact dosing is not known. When applied topically black seed oil is best mixed with a thicker base oil like vaselline to enable longer duration of action at the site. When used like this 2-3 times daily application over affected area is enough. For oral dose usually one 5ml spoon is enough if taken daily, if the condition does not respond increase to twice then three times daily. If I don’t take the black seed oil 20-20 min before a meal, will it still be effective? Yes but absorption will be slower. Do not eat with fatty meal. It depends on the indication. You have to remember a capsule contains 1g of oil (this is about 1ml). For maintenance of health and things like improving bowels, memory, sleep (keeping bodily functions ticking over nicely) 1-2 capsules daily are enough. For helping with things like asthma, allergies etc. most people find they need to take larger doses so the oil is better as one teaspoon contains 5ml. Thank you. For lowering diabetes how many capsules should be taken a day and when please? For capsules you will likely need a minimum of 2 capsules twice a day 30 mins before a meal or with a light meal. Check your blood sugars and tell your doctor as with time you may need your diabetic medications adjusting. Also I would like to know how much daily dosage to take for high blood pressure symptoms my pressure is very high like 190/110 I would like it to come down to normal. 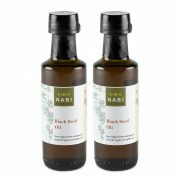 Black seed oil only has a moderate effect on the reduction in blood pressure. You firstly need to see you doctor who will help manage this. Black seed oil does have protective properties to help tissues within the body deal with the damaging effects of conditions like hypertension when taken daily over a long period of time (one 5ml portion daily). A great natural treatment for blood pressure control is to take a clove of garlic daily (be aware this will also thin the blood). What would be the recommended usage for asthma? One 5ml teaspoon twice daily should be sufficient. A recent study showed black seed oil capsules 500 mg twice daily for 4 weeks were beneficial in asthma. I have had chronic sinus infection and lack of smell for years. Would the application of black oil into my nasal passage help reduce inflammation. My olfactory nerves work well when molecules can reach them. Would oil directly into the nose be the best treatment or taking capsules. 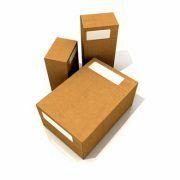 Can both methods of application be used at the same time. I also have asthma and use inhalers. Recently i have cut out of my diet all grains and processed sugar and that seems to having an effect on the mucus production. Your symptoms of sinusitis are likely to respond well to the black seed oil. You can take it both orally and apply it as intra nasal drops. The mucolytic and anti-inflammatory properties should help. For nasal application apply one drop into each nostril twice daily following nasal lavage.